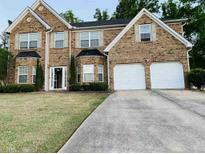 Find Ellenwood, GA Homes for sale. View Photos, Maps and MLS Data Now! Westside Place - Agents Bring Your Buyers And Lets Close In Time For Spring Backyard Barbeques. MLS#8567008. Keller Williams Rlty Atl. Part. Ashford Landing - 4 Bedrooms-2 1/2 Baths*Huge Master On Main With Sitting Area & Trey Ceiling*Master Bath Has Dual Vanities, Deep Soaking Tub, Separate Shower, Private Toilet Room, And Large Closet*Formal Dining Room*2-Story Great Room Is Light And Bright, With A Fireplace*Eat-In Kitchen Has Loads Of Cabinets & Counter Space, Walk-In Pantry, And A Wine Closet*Upstairs Are 3 Generously Sized Bedrooms All With Vaulted Ceilings*Close To New Senior Center, Marta Bus Stop, Parks W/Walking Trails, Sports Fields, Picnic Areas & Community Center*15 Minutes To Airport*Hvac 3 Yrs MLS#8566328. Southern Classic Realtors. *Tenant Occupied/Month-To-Month Lease* Price For A Quick Sale. Hurry!! ! MLS#8566740. Realty 21, Inc.. The Possibilities Are Endless. Bring All Offers! ! MLS#8565236. Rawlings Realty Llc. Property Will Not Last.. Must Provide Pre-Approval Letter With All Offers... MLS#8564686. 1St Class Realty Professionals. Hurry This One Won'T Last Long!!!! ! MLS#8562447. 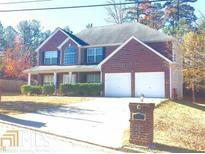 Vision Realty Group, Inc..
.Appt With Owner 404 401 8173 Mr Davis Sold As Is MLS#8562948. Residential Premier, Inc.. 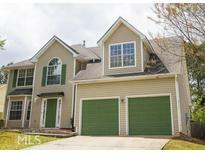 This Home Is Minutes From Interstate 285 And Close To Interstate 675, 75, And 20; As Well As 20 Minutes From Hartsfield-Jackson International Airport And Down Town Atlanta. ***** No Seller Disclosure****** MLS#8560957. Savoia Realty. Huge Patio Overlooking Private Back Yard. Sold As Is. No Disclosure. MLS#8560670. Chapman Hall Realtors Alph.. Please Note That This Is A Spec Home And These Are Stock Photos Of Another Property/Plan Offered By The Builder. MLS#8559326. Palmerhouse Properties & Assoc. It Also Offers A Private Back Yard-Close Just In Time To Have The Next Holiday Gathering At Your New Home. Must See To Appreciate. MLS#8558516. Mga Realty Llc. This Is A Great Little Starter Home For You And Your Family! MLS#8556068. Keller Williams Rlty Atl. Part. Come See! * More Photos Coming Soon MLS#8555105. The Brinkley Realty Group Llc. Private Back Yard. Loft Space & Optional Bonus Room. MLS#8553695. Palmerhouse Properties & Assoc. Please Turn Off Lights Before Leaving!!! ! MLS#8550329. Bluebird Realty. The Back Yard Is Perfect For Family Gatherings. 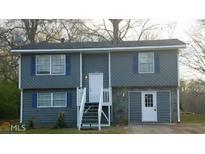 MLS#8547172. Crowe Realty. Hickory Ridge - Can Walk To Marta. Hurry...Won'T Last Long! MLS#8545062. 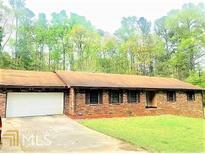 Solid Source Realty Ga.
Open Space And Layout Throughout House. MLS#8541669. Realty Depot A.Thomas Cao Co.. In The Lower Level Of The Home You Will Find The Laundry Room, A 2 Car Garage And 2 Large Bonus Rooms Which Can Be Used As An Exercise Room, Extra Bedrooms Or Office. 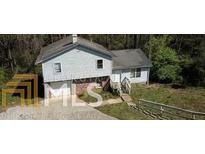 MLS#8539559. Bhgre Metro Brokers. Unlimited Possibilities To Craft This Into Your Dream Home, Perfect For First Time Home Buyer Or Investors Looking To Increase The Value. MLS#8540313. Jar House Llc. Fenced Yard. Call Agent For More Information. 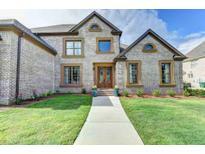 MLS#8537278. Equity Realty. Must See The Oversized Detached Garage And Workshop Plus Property Has Plenty Of Parking. MLS#8535913. Current Realty Llc. Full Unfinished Basement And Screened Porch - Perfect For Entertainng! A Must See! ! MLS#8535823. First United Realty, Inc.. So Much Character And Charm -Definitely A Must See! Agent/Owner. Appt Only. 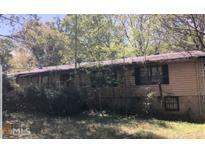 MLS#8534512. Metro 8 Real Estate, Llc. Royal Oaks - Pre-Sale ****Photos Shown Are Representations & Reflect Options Not Included. In Listing *Stock Photos* MLS#8532237. Lindsey Marketing Group, Inc..